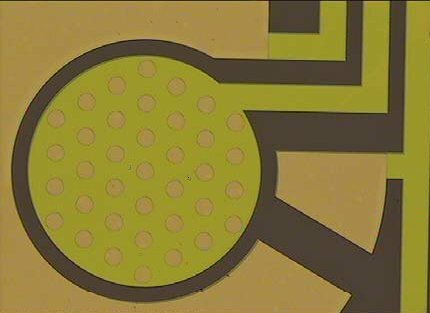 Ø The Electrochemical Cell-on-a-Chip (ECC) is a microlithographically fabricated transducer array that is well suited for chemical and biosensor research and product development. It is available in two characteristic ABTECH microelectrode formats: i) the interdigitated microsensor electrode (IME) format of a pair of fingered working electrodes in circular aspect and ii) the microdisc electrode array (MDEA) format of many conducting discs set beneath tiny openings in an insulating layer of silicon nitride. Ø In basic science and engineering research these devices are designed for i) Electrical cell impedance and cell mobility studies, ii) Simultaneous electrical (I/V), electrochemical (EA, EIS) and optical (OD) characterization of polymeric thin films, polyelectrolyte multilayers, protein films, and organic coatings, iii) Electrochemical applications in microelectrochemistry, iv) Electrochemical impedance spectroscopy, v) photoconductivity measurements, and vi) Chemical and biological sensor research and development. Ø Both the ECC IME and ECC MDEA are formed from patterned conductors (Gold, Platinum and ITO) on an insulating substrate (borosilicate glass) chip. In both cases, the active electrode areas are exposed through an insulating layer (0.5m) of silicon nitride (Si3N4) that electrically isolates and electrochemically passivates the electrode buses but leaves the active electrode areas exposed for the immobilization of your unique materials. 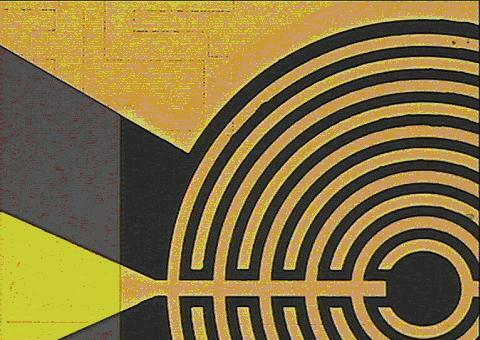 Ø The ECC IMEs are 1.0 cm x 2.0 cm x 0.05 cm chips designed with a total of five (5) interdigitated fingers on each bus; ten fingers altogether. The interdigitated bands and spacings of ECC IME chips are available in 05, 10, 15, and 20 microns wide. The length of the fingers vary, depending on the width of the fingers and spaces. The ECC IME XX05 chips are available in gold (Au), platinum (Pt). and indium tin oxide (ITO). Each IME array is partnered with its own large area counter electrode and both IME arrays share a common reference electrode. The ECC IME XX05 therefore has a total of seven (7) electrodes. Ø The ECC MDEAs are 0.2 cm x 0.4 cm x 0.05 cm chips designed with two (2) independently addressable microdisc array electrodes. Each microdisc array comprises discs that are 50 micron in diameter. A total of 37 such discs are formed through an insulating layer (0.5m) of silicon nitride (Si3N4); hence ECC MDEA 5037. The ECC MDEA 5037 is available in gold (Au), platinum (Pt), and indium tin oxide (ITO). Each microdisc array is partnered with its own large area counter electrode and both microdisc arrays share a common reference electrode. The ECC MDEA 5037 therefore has a total of five (5) electrodes. Ø In research and product development, these devices are widely used for conductimetric, chemoresistive chemical and biological sensors using electrically conducting (electroconductive) polymers, for impedance sensors based on Langmuir-Blodgett thin films, for studying environmental effects on polymer thin films, and in modern micro-electrochemistry. Ø Investigate the two-point electrical conductivity and the chemoresisitive response of transducer-active polymeric thin films. Do so using the same electrode configuration, the same test environment, and on the same sample film. Ø Cell mobility testing: Study the chemotactic response of cells as they migrate across an interdigitated pattern of separately addressable electrodes. Ø Electro-chromatography: Voltage induced separation of biomolecules as they flow over the electrodes. Ø Electrical and Electrochemical Impedance Spectroscopy of organic thin films and coatings. Ø Capacitance probes and humidity sensors, e.g. based on Langmuir-Blodgett films and protein layers. Ø Modern microelectrochemistry: Generator-collector electrochemistry and mediator electrochemistry. Ø Two-point electrical conductimetry: Determine the conductivity of thin films cast onto the interdigitated electrodes . Ø Cleaning: Chips may be cleaned using any of the standard methods developed for microfabricated devices and chips. General advice on cleaning is provided at ABTECH's “Download Files” web page. Ø Coating: Films or coatings may be applied to the ECC IME or ECC MDEA devices by microcontact printing, dip coating, spin casting, spray painting, air-brushing, brush painting, by the Langmuir-Blodgett thin film deposition technique, by electropolymerization, and by molecular self assembly. 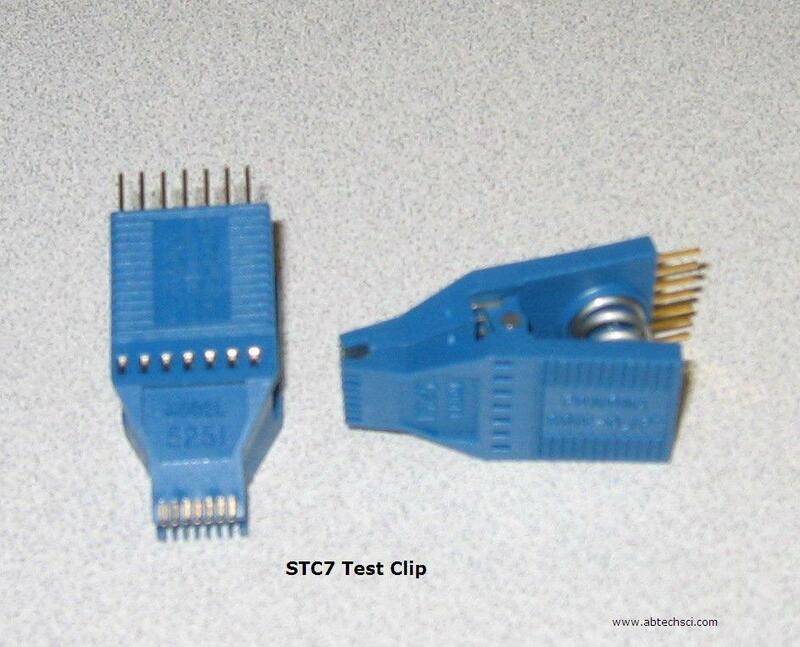 Ø Electrical connection: Electrical connections to the ECC IME XX05 devices is best made using the STC 7 Test Clip. Alternatively, you may develop your own method of attachment of leadwires using a conductive epoxy (usually silver) or low-temperature micro-soldering. Ø Electrochemical Cell-on-a-Chip: Applications and References. Electrochemical Cell-on-a-Chip (ECC) is the tradename for a family of devices developed by ABTECH Scientific, Inc. These devices are microfabricated (using microelectronics fabrication techniques) to form patterns of conductors deposited on an insulating substrate chip. They are designed for cell motility studies, the simultaneous interrogation of the electrical, electrochemical, and optical properties of thin polymeric films and coatings, for applications in microelectrochemistry, and for electrical/electrochemical impedance spectroscopy. Last Revision 04/24/2005. © 2000-2005 ABTECH Scientific, Inc.